A reusable cap to reseal an open bottle of wine between glasses or overnight so the bottle can be laid on its side without leaking. It also can fit in the fridge door without rearranging the contents. Dimensions: 5.2" x 1" x 4 "
They were a gift for a wine lover friend. Waiting to hear how they worked. Friend loved receiving them and will let me know. 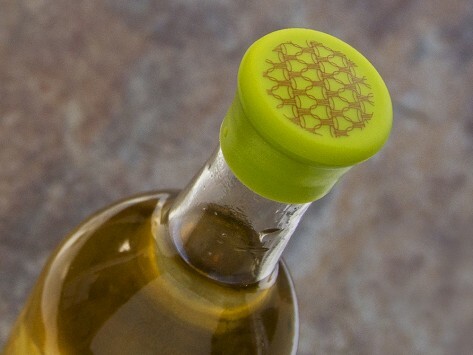 Great seal on wine bottle, can even lay on side on shelf without leakage. Simple and great invention. Great product. Unlike others we have purchased, these don’t leak. Will recommend to friends.